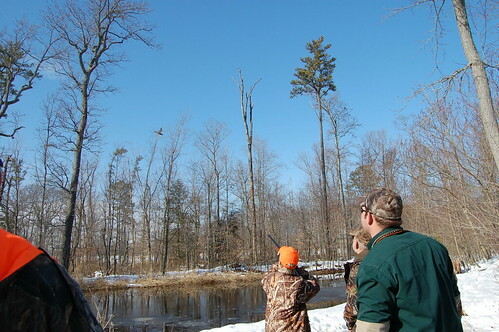 Young hunters have one more chance this season to hone their skills with the help of an experienced adult during a Youth Waterfowl Hunt Day Feb. 9, reports the Maryland Department of Natural Resources. Youths up to 16 years of age may hunt coots, ducks, geese and mergansers on private and public land, when aided by an unarmed adult at least 21 years of age. All junior hunters, and their adult mentors must possess a Maryland hunting license or be license-exempt. Youth hunters, including those possessing an apprentice license, must purchase a Maryland Migratory Game Bird Stamp. Youth under the age of 16 do not need to purchase a federal duck stamp. Licenses, stamps and permits may be purchased online, by phone at 855-855-3906, at a service center or at any one of more than 250 retailers statewide.